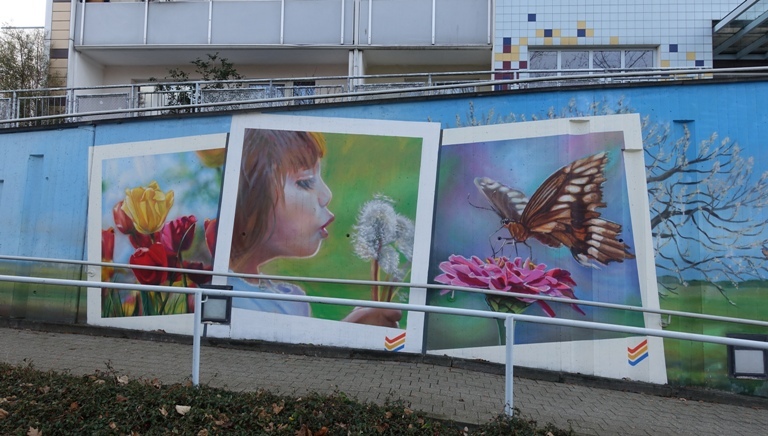 This morning I will share some images of a Four Seasons mural that is the Lobeda area of Jena. 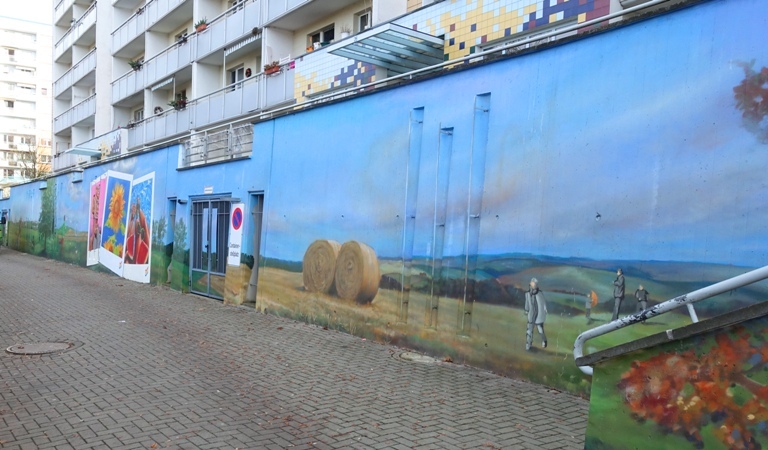 This mural is along the base of a large block of flats. 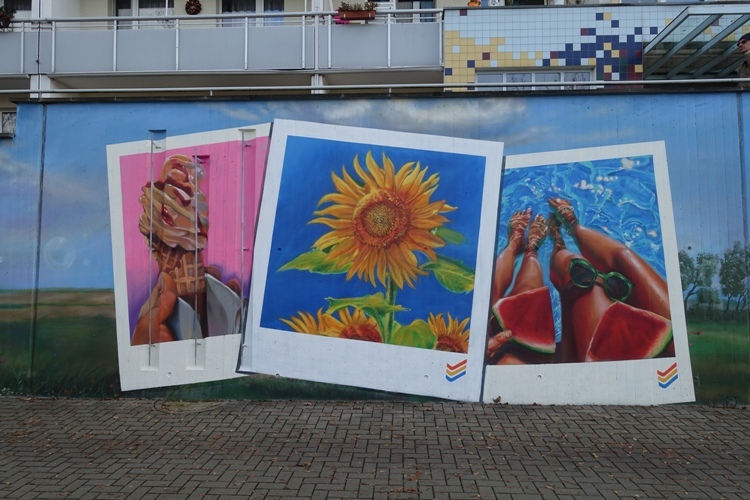 There is a lot of wall art in Jena. Some of it is official, but there is also a lot of unofficial wall art. In fact, the four seasons pictures that I will show below in some cases covered up some of the unofficial wall art. I am trying to remember how long this mural has been here, I may have to go back through my pictures some day and see if I can find out. However, I don’t have time this morning. I must get some breakfast and head to the classroom, so here are the four seasons. The seasons begin on the left with spring. 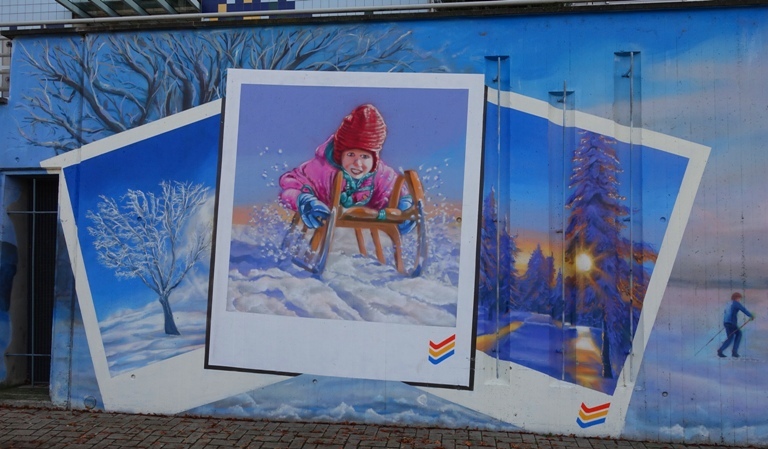 This entry was posted in Culture, Germany, Nature, Seasons, Travel and tagged Fall, Four Seasons, jena germany, Lobeda, murals, Spring, Summer, Wall Art, Winter. Bookmark the permalink. Your job gives you some neat experiences! Thanks for sharing these photos and stories!